BBC Radio 6 Music - The Huey Show, Happy New Jeah! Huey gets the weekend cooking, finding the funk where it's least expected. He loves punk, reggae, disco, jazz, hip-hop and more too. 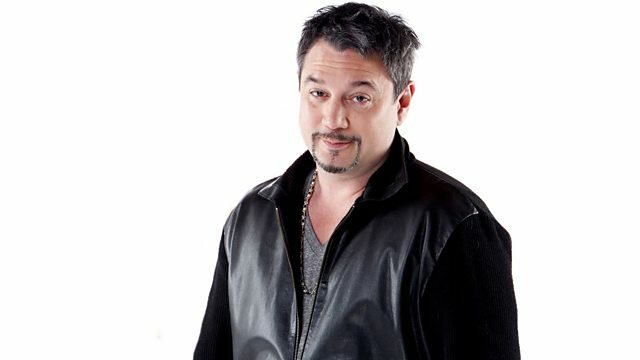 Huey Morgan, the Fun Lovin' Criminal, gets your weekend cooking with a record collection that finds the funk where you least expect it. As always Huey joins musical dots that you never knew needed joining, taking you on a journey around the world, and through time. There's also a chance to rewind time and get on down aboard the soul train. Each week it stops at a different year in Soul history and this time Huey's headed to somewhere in the early 90s. And if you've ever asked "where's my beat?" then Huey's got you covered when he unveils his Beat Of The Week. Saturday morning is in the safest possible hands. That's a fact Jack. Love Supreme SARL/Justice SARL/Interscope Records. Prince - The Very Best Of. Hits Album 7 (Various Artists). More Alarming Records / Kobalt.